I feel as though I’ve lost control of my limbs. My legs are like jelly. Admittedly, silky soft, aromatic jelly that has been massaged into a marvellous state of intoxicating semi-consciousness. On the plain beyond the glass walls of the room a dazzle of frisky zebras kick up their heels. Metres away from where I sit a doe-eyed nyala, a sort of Bambi lookalike, nibbles at the bushes. It’s such a surprise that I gasp out loud as my mind slowly registers my surroundings after dozing off during a dreamy hot oil head massage. Trei, my Thai masseuse has seen it all before and smiles indulgently. As she ushers me back to the lounge, padding across the boardwalk she points out warthogs and a couple more nyalas resting in the shade. 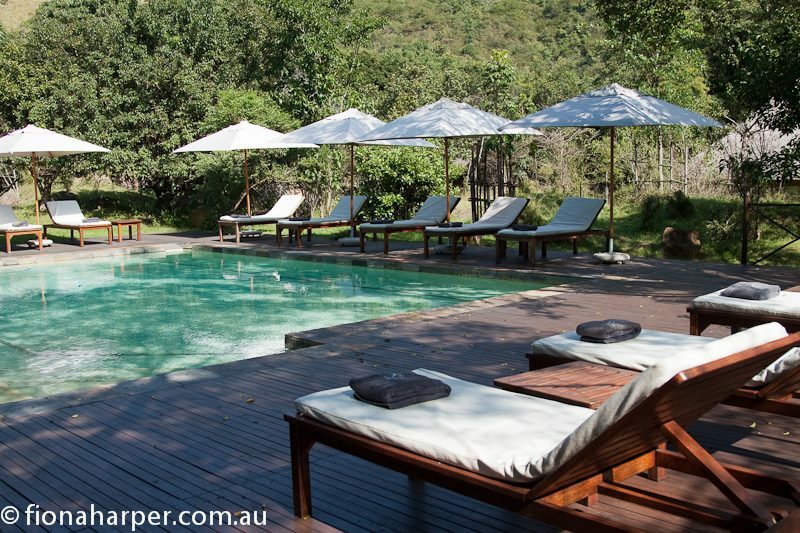 On a whirlwind visit, I’ve lobbed into multi-award winning Karkloof Spa and Boutique Lodge for some longed-for pampering after a hectic week in nearby Durban. 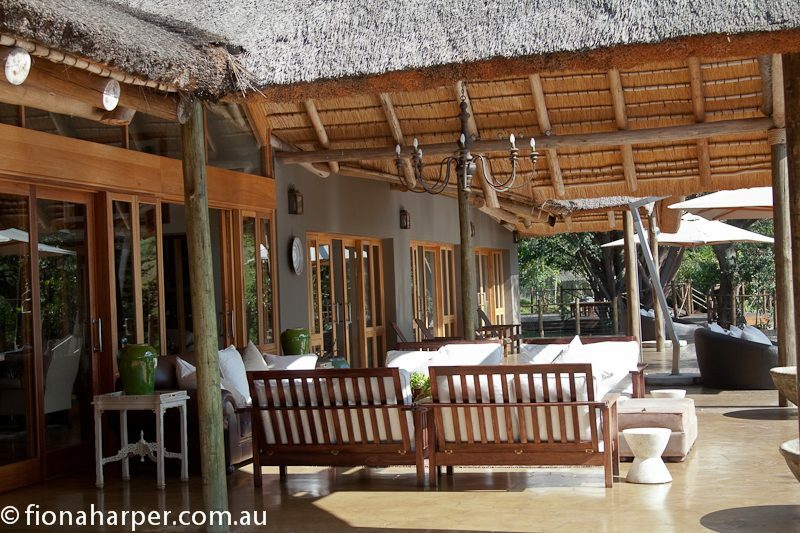 Picking up scores of ‘best spa’ awards, guests at Karkloof are decidedly spoilt for choice. Unlimited spa treatments incorporated in the all-inclusive tariff mean I have a few important decisions to make first up. With 17 treatment rooms ranging from a dreamy flotation tank, steam rooms, private yoga studios, pedicure/manicure salon through to wet and dry treatment rooms, Karkloof is all about achieving wellness of mind and body. Flicking through the spa menu, I sign on for the aforementioned head massage, while the rest of my body is scrubbed, wrapped, detoxified, pummelled and massaged. Conveniently, there’s also a health-oriented Spa Cafe overlooking the valley, as well as a glass-walled lounge with a couple of indoor pools surrounded by comfy sofas. Just the spot for alfresco meditative relaxation between treatments. But, this is South Africa after all, where the outdoors beckons. 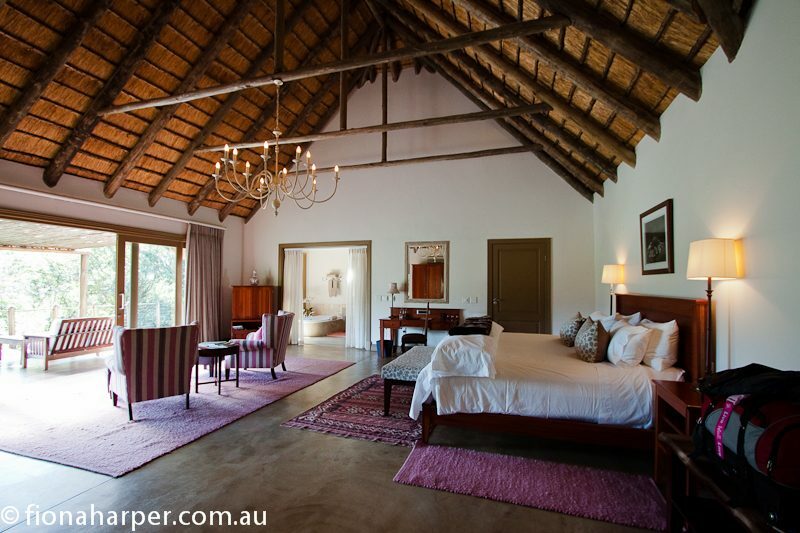 Set amidst a 3,500ha private game reserve, white and black rhino, wildebeest, buffalo, giraffe, zebra, warthog and monkey, plus a number of cutesy antelope-type creatures roam freely. High on the ridge overlooking the plains outside Pietermaritzburg, there’s also a handful of thundering waterfalls. Between Spa sessions, we take off in the open-sided jeep for a Game Drive enroute to the Karkloof Falls which drop over 100 metres. With dark clouds building menacingly and a ‘Sundowner’ hamper stocked with gin and tonics and warthog biltong (delicious! ), we soon spot a crash of rhinos grazing trackside. Around the next bend buffalo stare menacingly as we approach, reverting to chewing grass upon assessing our minimal threat. Not bad: within 20 minutes of leaving the lodge, we’ve sighted two of the ‘Big Five’ that attract wildlife enthusiasts to South Africa. As thunder booms and with forked lightning turning the sky into an intimidating light show, heavy rain drops promise an imminent downpour. We abandon our journey to the waterfall and beat our retreat back to the Spa. 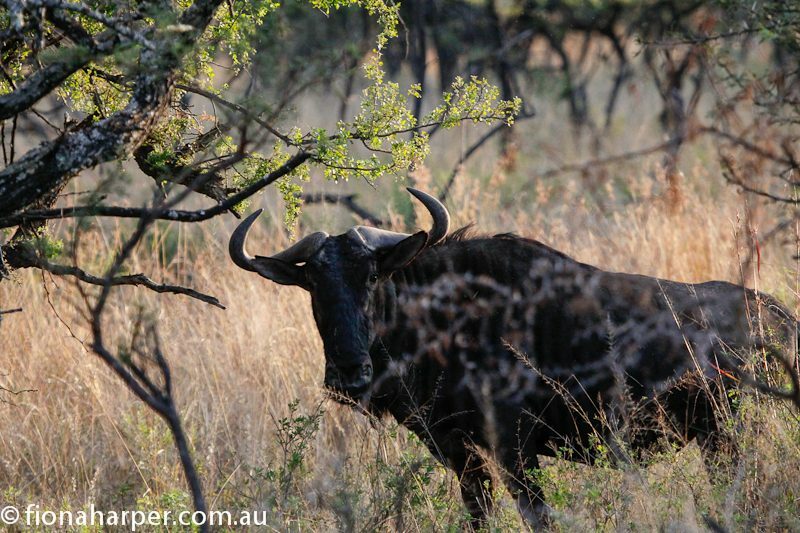 But not before we see more nyala, kudu and bush buck, as well as a seemingly nonchalant herd of wildebeest. 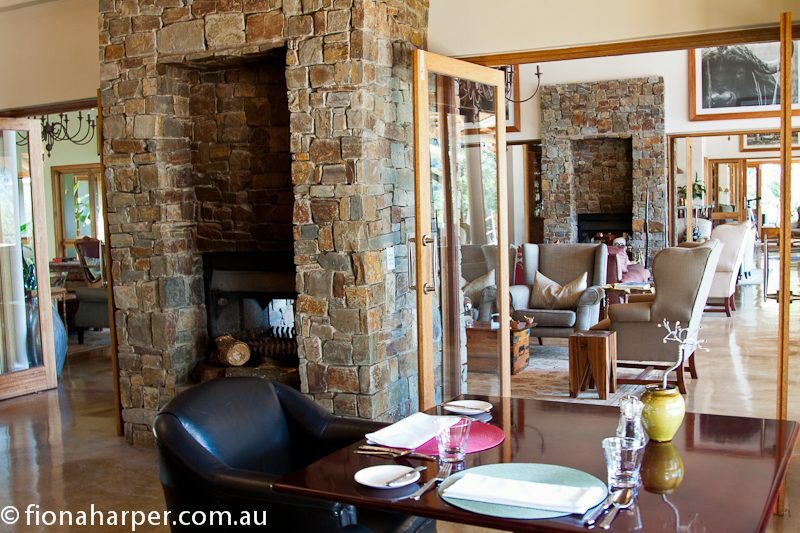 Karkloof is part of the exclusive Relais & Chateaux group. 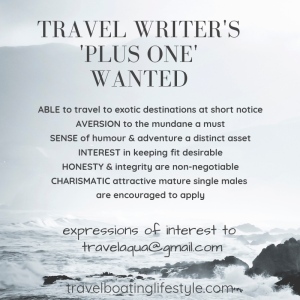 With this distinction comes an expectation that member resorts are rather special. Karkloof doesn’t disappoint. Inclusions such as meals and drinks (think complimentary in-villa maxi bar and walk in cellar available 24 hours), complimentary wi-fi and business centre, game drives, mountain bikes, as well as the lodge with lounge, restaurant, bar and library linked by a vast deck with adjacent swimming pool keep guests amused when not at the Spa. But it is the special touches offered by more than 60 staff who attends to just 32 guests that make Karkloof unique. The owner, Fred Worner, drops into the lodge in his casual khakis to say hi as we gather at the bar before dinner. With soaring ceilings overhead and walls of glass that offer views over the wildlife-dotted valley, the lodge is styled to reflect its surroundings. Wildlife, literally, are part of the furniture. One of the bovine floor rugs is actually a rare status symbol in Zulu culture. Kudu antlers are crafted into candle holders behind the bar and an ancient rhino skull graces one corner. Thankfully, there are no mournful mounted skulls with glass eyes staring down from the walls. With less than 24 hedonistic hours to indulge all my senses, retreating to my villa late after a dinner of ostrich, warthog and home-made sorbet, I finally drop into a sort of zombie-like slumber. Opting to ‘do it all’, has taken its toll on my stamina. Though, spending six hours in the Karkloof Spa is undoubtedly the reason I can bounce out of bed before dawn for an early flight after just a handful of blissful hours in the oversized bed.